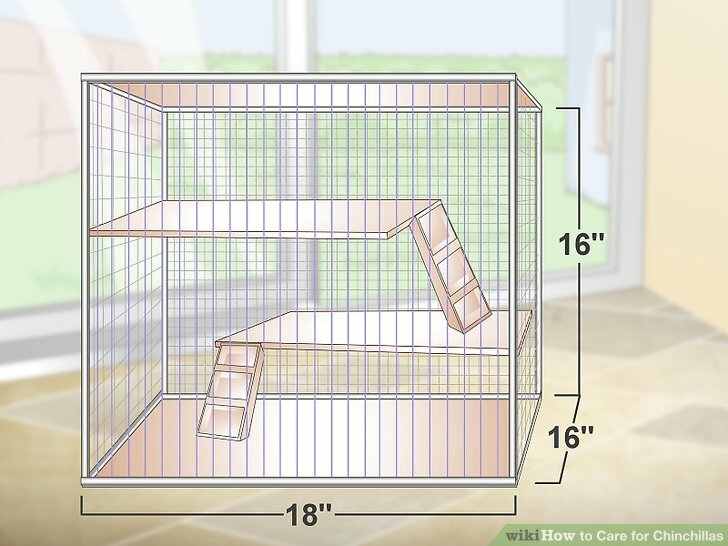 Provide a large, wire cage. 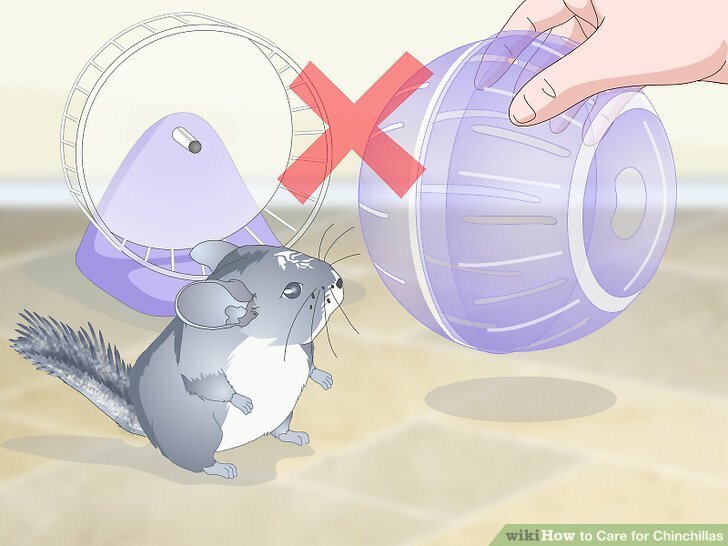 Chinchillas should be kept in cages made of metal. 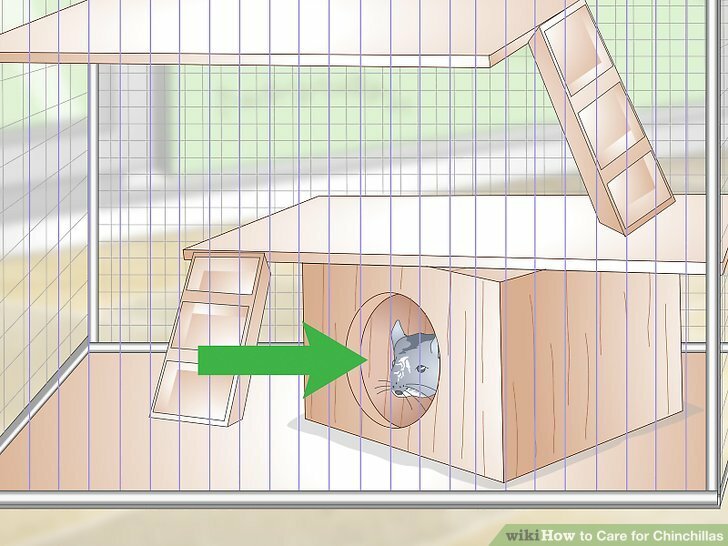 Since they are extremely active animals, the larger the cage, the better. 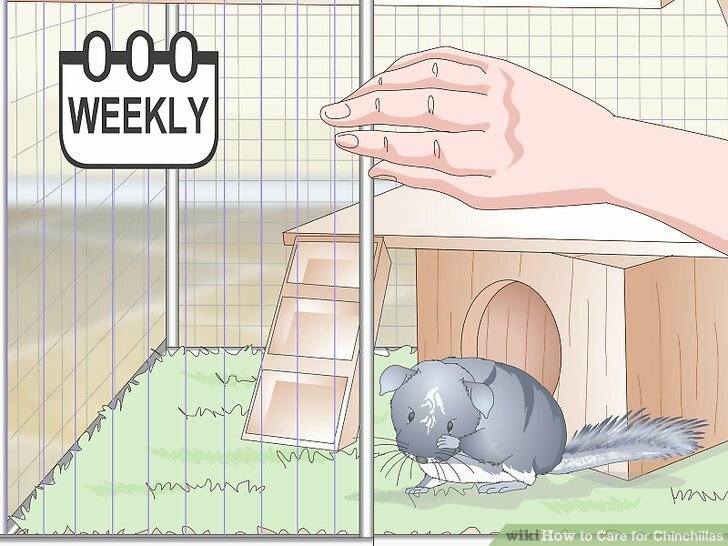 Your chinchilla's cage should be at minimum. 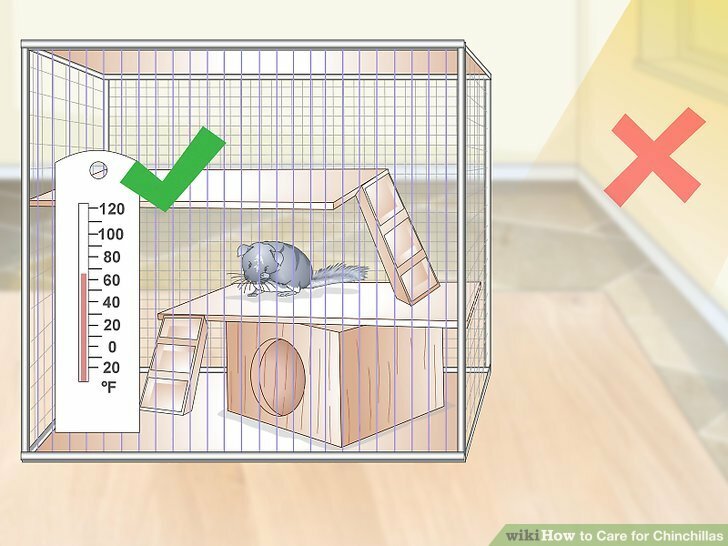 Keep your chinchilla cool. 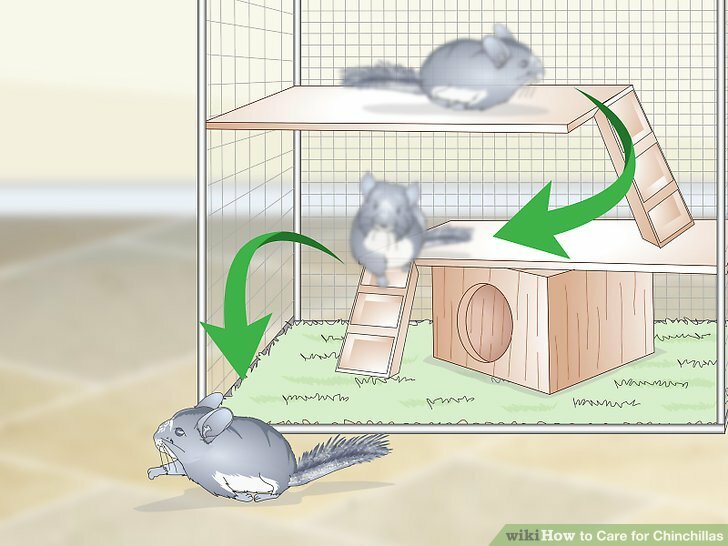 Chinchillas overheat easily, so it's ideal to keep them in a room that is between and . They cannot survive temperatures over or below . 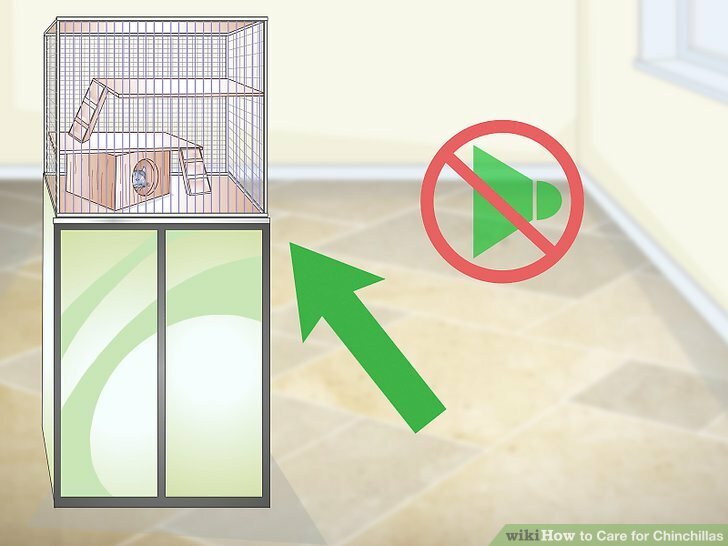 Also, keep their cage in a room with lots of air flow and make sure their cage is not in a spot where the sunlight can directly land on them. Any amount of direct sunlight can cause them to become overheated very quickly. 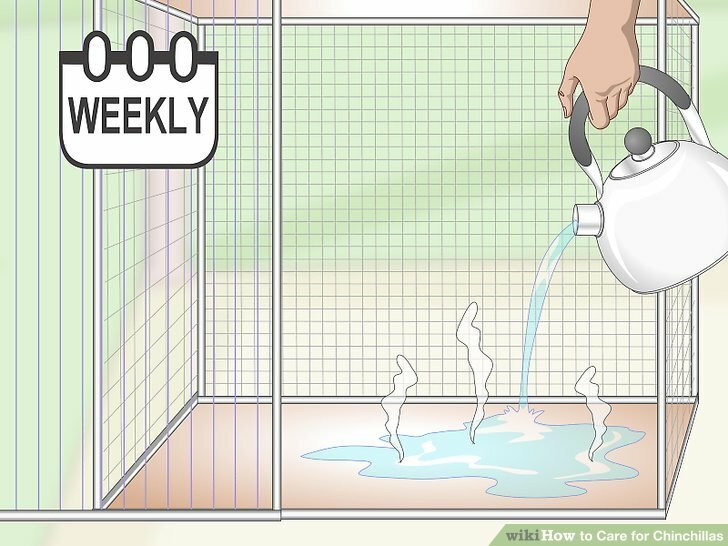 Wash the cage with hot water weekly. 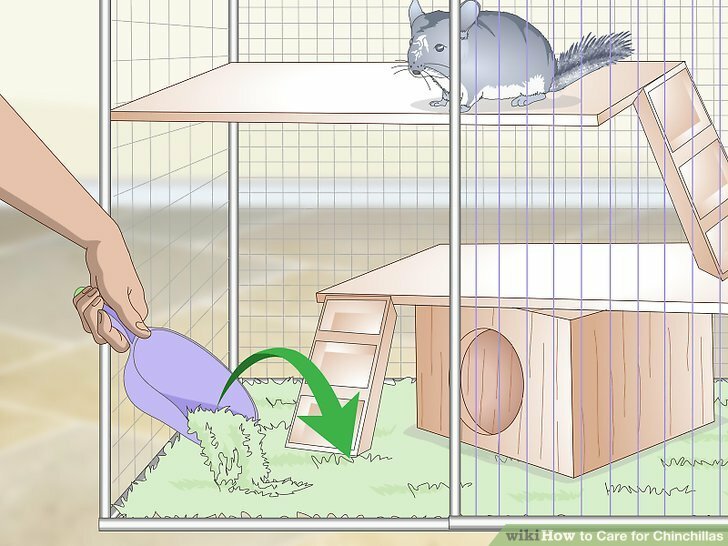 It is generally suggested that you use no soap or chemicals on the inside of your chinchilla's cage. 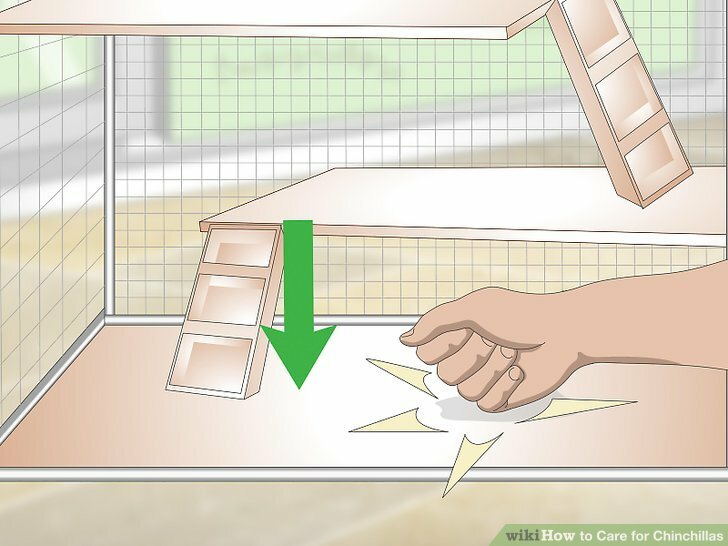 Instead, simply use hot water to clean the cage. 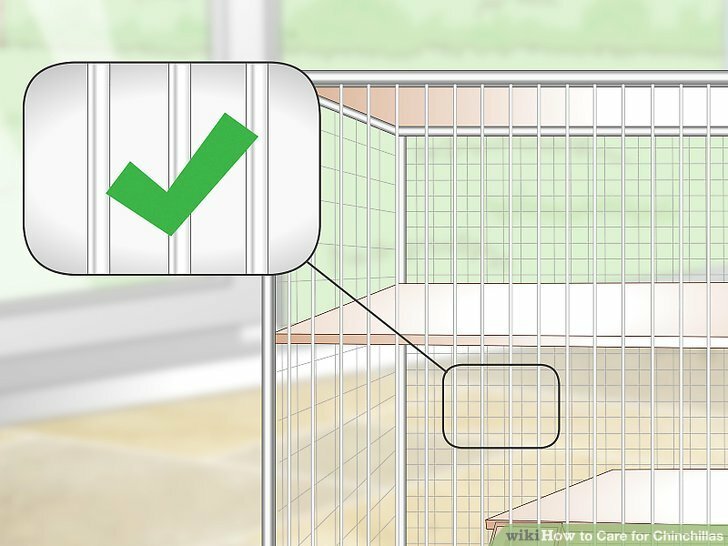 Swish some water around the cage's plastic pan, then clean it thoroughly with hot water and let it air dry. 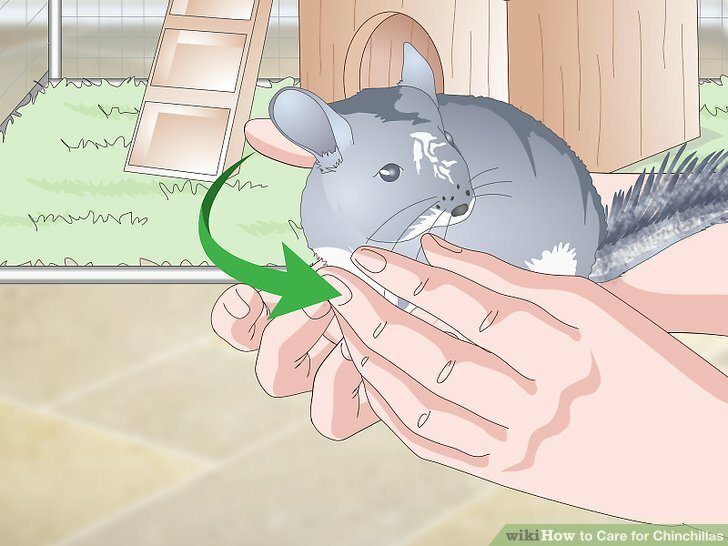 This is a good way to **** most of the bacteria that can harm your chinchilla. Remember to sterilize the water bottle when changing the water. 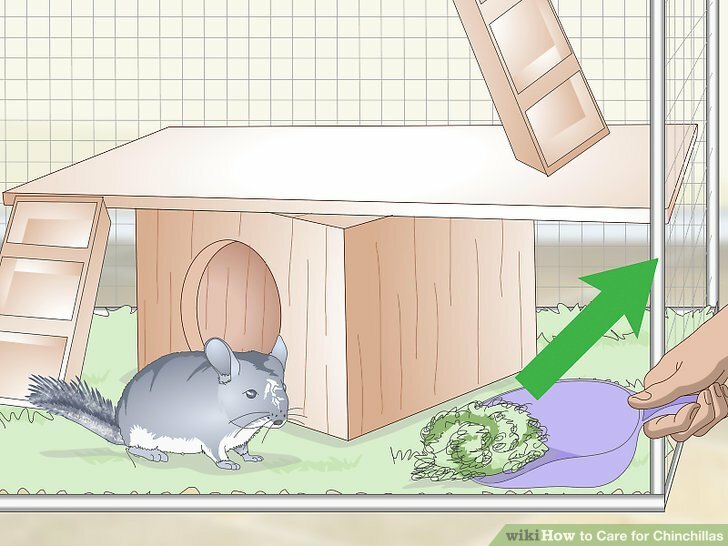 The algae that grows in their water can cause liver problems or severe diarrhea, or even **** a chinchilla. 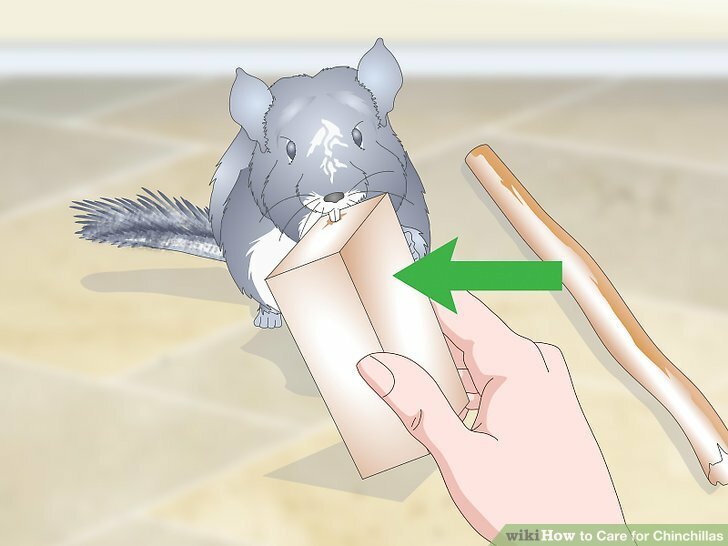 Give your chinchilla something to chew on for dental health. 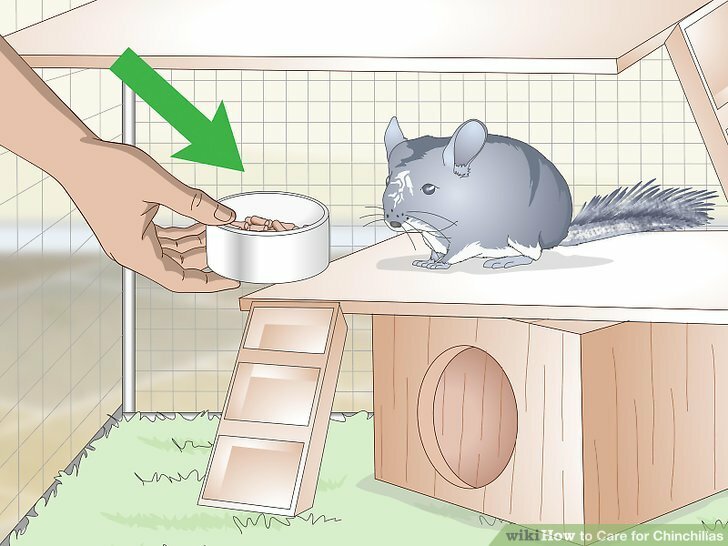 Chinchillas' teeth grow continuously and can grow up to a year. 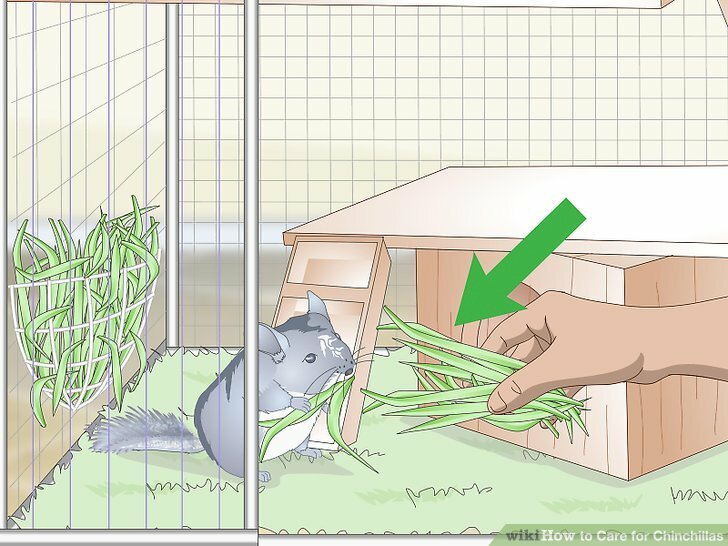 To avoid overgrowth, which can impact a chinchilla's ability to eat, purchase a special block of wood or pumice stone for your chinchilla to chew on. These are typically available at most pet supply stores. 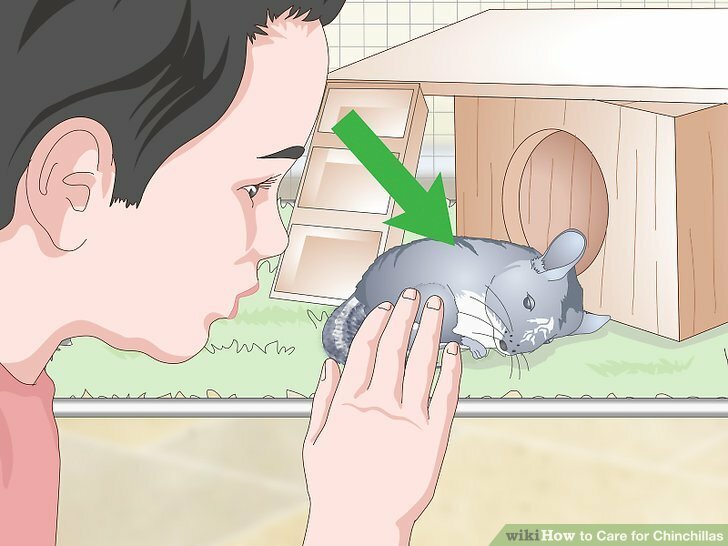 Give your chinchilla dust to bathe in. 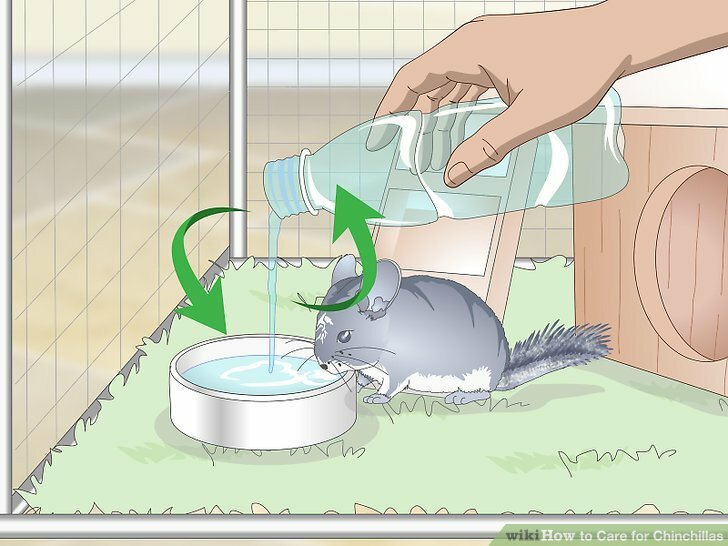 Water can harm the chinchilla's fur, so you can't give it a bath with water. Instead, give them a dust bath. The "dust" bath is made with a mix of dusting powder made of volcanic ash or activated clay and is available from most pet supply businesses. 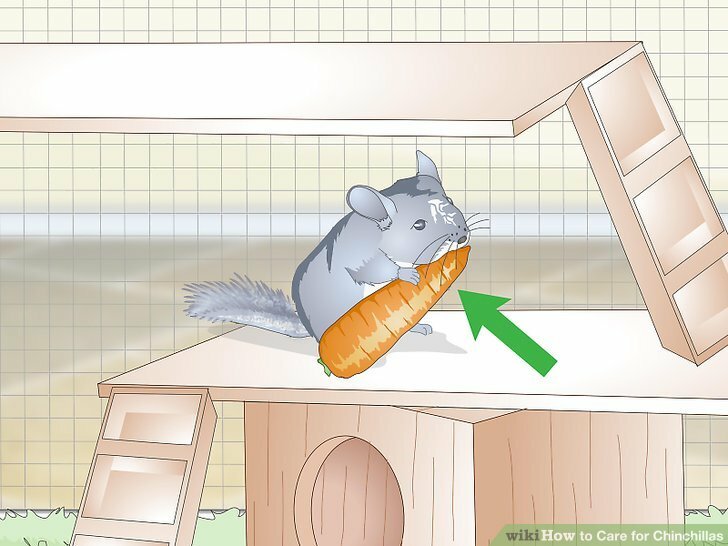 Place the dust in a metal pan that is at least by and only allow the chinchilla access to it for about 10-15 minutes 2 to 3 times per week.